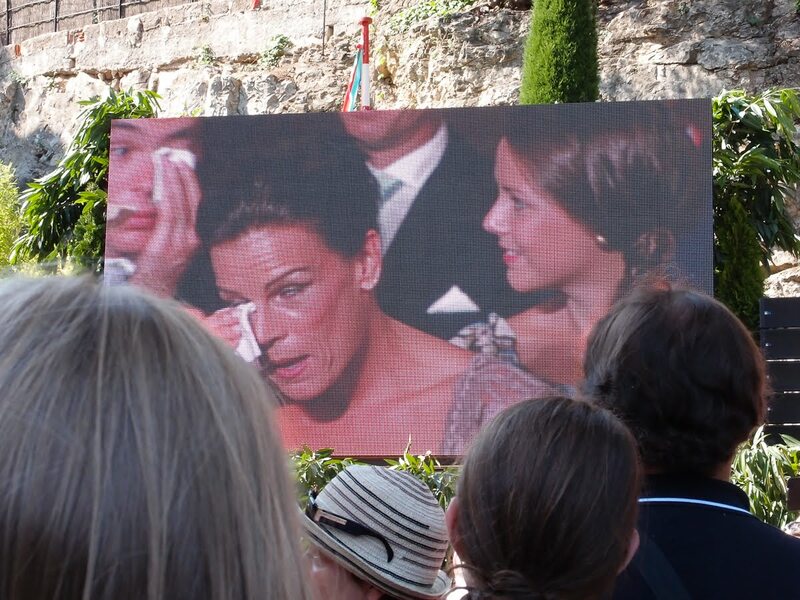 Monte Carlo Weekly Photo: The Wedding - Monaco has a new Princess! Monaco has a new Princess! Yesterday saw the Civil Ceremony which took place in the Throne Room of the Palace and was watched by thousands on giant screens around the Principality. Do click on the video below. It shows highlights of the whole day and is a beautifully-made video. 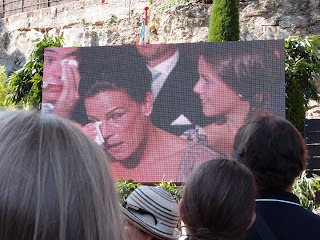 The wedding had it all, a beautiful bride dressed in Chanel by Karl Lagerfeld, Princess Stephanie who cried and the crowds who loved it all. Today we have the religious ceremony - a much bigger affair and later in the day the Princely couple will drive to the tiny church of St. Devote where the bride will place her bouquet. You can just see a corner of St. Devote Church in the photo below. Nice! So much more intimate than the last royal wedding. Thanks for the video! The bride is stunning, and her blue dress/pants is quite lovely. South Africa has produced some beautiful blonde women! What a fantastic civil wedding posting! 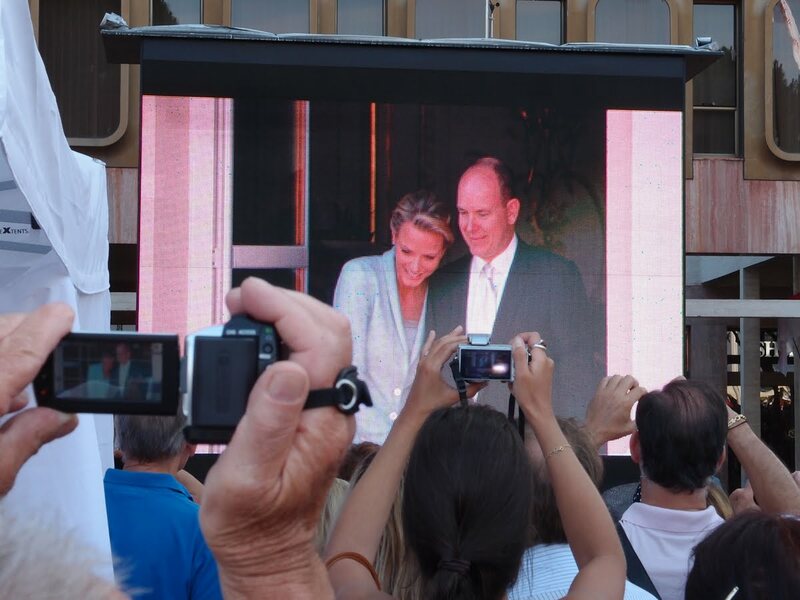 Congratulations to Prince Albert and Princess Charlene! May they live a long, happy life together! Yesterday I was sitting on an airplane. Before take off the little TV at my seat was on a free preview and it showed film of the Royal Wedding from a local news channel. The announcement came on urging passengers to swipe their credit card to be able to continue to watch after takeoff. I thought to myself, "I don't need to pay $5.99 to watch this. I can log on to Jilly's blog tomorrow and see what happened. These are wonderful shots,Jilly! I love the odd blue ensemble. It's unexpected. I watched it on televison, it was great. Love to see all the dresses, the bride was stunning in her Armani. Must have been wonderful for you to see it all so close. I thought you would be covering this. We were watching some re-runs waiting for our bags at La Guardia today. Congratulations to the happy couple! 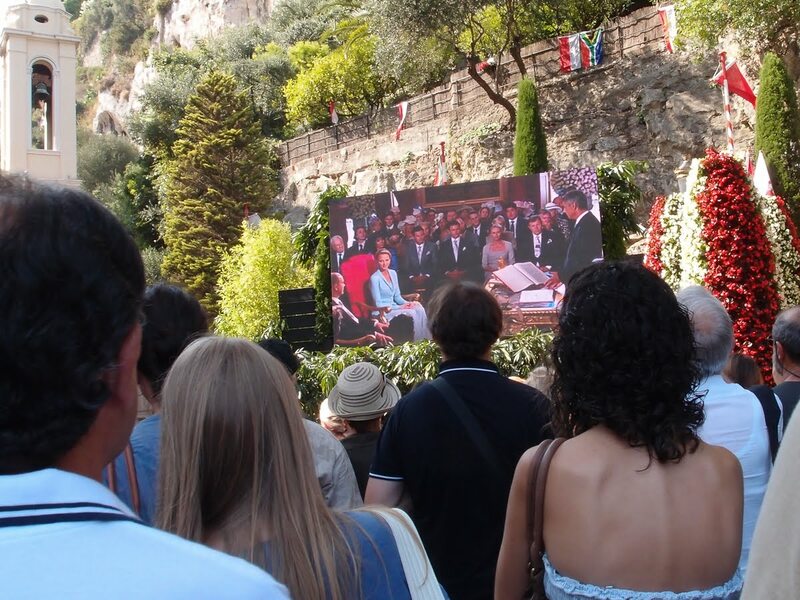 It looks like it must be a very happy occasion for Monaco, too, so congratulations to everyone. Now, where can I get that outfit?